Clay Schleitwiler checks out the heat and cooling functions on a thermostat on a recent home inspection. For most people, purchasing a vehicle or purchasing a home are the two largest investments they will ever make. Some people pay all cash, but most finance these purchases. If it is a vehicle you are purchasing, new or used, you have to make the pre-purchase evaluations yourself or take the vehicle to someone who can conduct more than a cursory once-over. With a home or a house, you are talking about much more money in most instances, and a far-more complex transaction. Just as in a vehicle, there is more than meets the eye. And unless you have the time, expertise and experience, you could fall in the trap of purchasing a home in need of major repairs – a costly mistake. Be sure you do not confuse the home inspection with the home appraisal. The home inspection is not required by law or by anyone else if you are paying all cash for your purchase. And, actually, neither is the home appraisal. The home inspection is strictly an option for the home buyer. Home inspectors evaluate all aspects of a house: Roof, foundation, electrical, plumbing, all of the installed systems as well as any potential health and safety issues. Due diligence, or checking out the details, is part of caveat emptor. You are not required by law to conduct this, but at the usual price of $300 to $500 (depending on the size), having a home inspection before you close the deal is a small price to pay for peace of mind for such a large investment. A home appraisal, on the other hand, concentrates on the current market value of the home. The appraiser, whether hired by the potential buyer or the lender for the potential buyer, analyzes recent sales data and other tools to determine how much the property is worth in the current market. The potential buyer, if not paying all cash up front, is required to pay a mortgage lender, bank or otherwise, for the appraisal because they want to make sure the home is worth the amount it is selling for because the property is the collateral for the potential buyer’s loan. Home inspections are not generally mandated when using a mortgage loan to purchase a house. But in most all instances, a lender will require an appraisal before approving a home loan, an appraisal the lender will conduct in order to determine how much the house is worth, not only for purposes of the loan amount but in case the lender has to repossess the home in the event of default. As a potential home buyer, the choice, and cost, for the home inspection is yours. The vast majority of real estate agents recommend a home inspection. They can direct you to a reliable home inspector. Or you can consult the internet. One person who is available in the South Shore area is Clayton Schleitwiler, whose background includes construction. Schleitwiler is the owner and operator of Tampa Bay Inspections in Plant City. 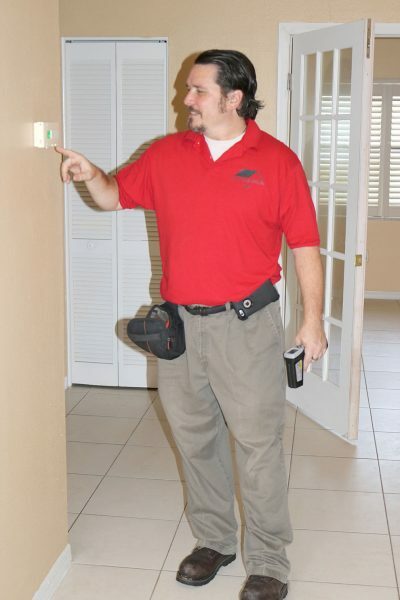 He is certified by the State of Florida as a real estate inspector and is affiliated with the ASHI (American Society of Home Inspectors) and the NACHI (National Association of Certified Home Inspectors). According to Schleitwiler, when hiring a home inspector, one should check credentials and be wary of multi-inspector inspection companies because they usually hire inexperienced inspectors. “I perform all my own inspections. Not all home inspectors are created equal. Any good home inspector will be happy to answer as many questions as you have and also let you observe the inspection process,” said Schleitwiler. Schleitwiler has been licensed and inspecting homes since 2011. After growing up in Romeoville, Ill., he graduated with honors from Colonial High School in Orlando and then attended Florida State University. Professionally, he was with Coreslab Structures coordinating construction projects by working on Star Island Resort in Kissimmee, Key West High School and Grand Cypress. Among the top challenges of the home inspection business is keeping up with new construction features and technology, as well as the constantly changing market. A long-term objective for his business “is to grow the business while helping others with the purchase of their next home through education and experience.” Specifically, Schleitwiler seeks to educate potential homeowners about the benefits of wind mitigation. Schleitwiler, on a more informal basis, goes by the name Clay and is married to Kirsten, “the love of my life,” who shares their home in Plant City. Clay is a self-proclaimed animal lover; a pet pig named Petunia roams around the home. Clay is a longtime musician, and when he is not crawling around attics or under houses, he plays bass in his free time with “3rd Degree,” an area rock and roll band.